Cabo San Lucas is a hot vacation destination and if you’ve ever visited, then you surely know why. It’s not only a gorgeous location for travel, but Cabo offers a wonderful variety of places to stay and eat as well as things to do for travelers of all budgets. 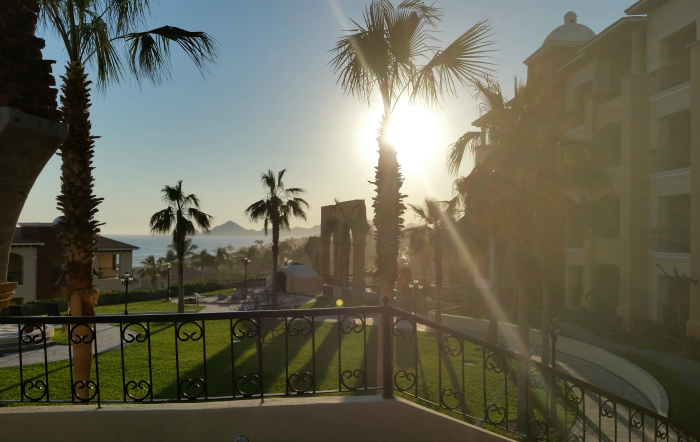 As a recent guest of Marina Fiesta Resort & Spa for a press trip, our group had a wonderful time and I’m going to share how to plan the ultimate Cabo vacation with you. 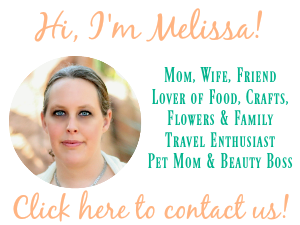 Planning a vacation to a resort is fairly easy because there isn’t a whole lot to it. Most resorts offer many things?to do on site so you’ll never have to leave. 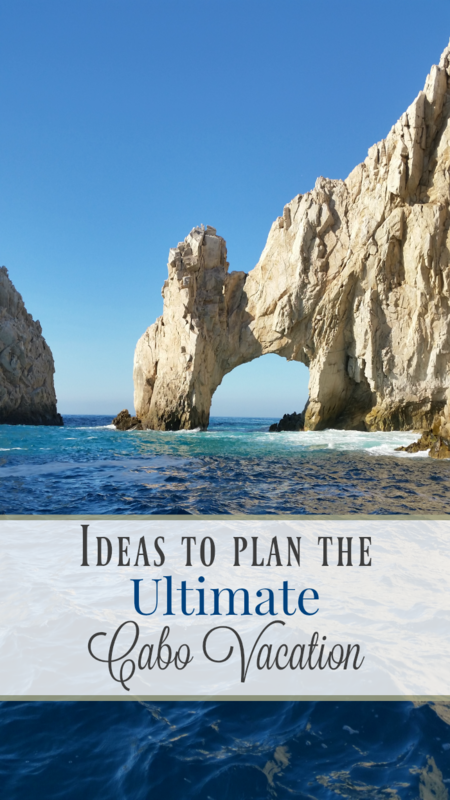 But that’s not the route we’re going with this ultimate Cabo vacation plan because you should never go to Cabo just to stay within a resort the entire time! Hacienda Encantada, Marina Fiesta’s sister resort offers luxurious 4-Diamond resort accommodations, with almost every suite offering a gorgeous view of the Sea of Cortez. With plenty of pools, a meditation center, spa and countless restaurants, you’ll definitely enjoy your downtime in the secluded location in the tourist corridor. Marina Fiesta and Hacienda Encantada are just a short distance from each other and a shuttle runs between the two so that guests can experience the best of both resorts. This is great because you can relax in a luxurious oceanfront resort, yet reap the benefits of downtown Cabo San Lucas. Plan a day for sight seeing and shopping, while still being able to enjoy all inclusive dining at Marina Golden Zone restaurants. Definitely plan your lunch or dinner at Deseos Mexican Restaurant & Bar, you won’t be disappointed! I’ve heard that this area of Los Cabos offers quite the nightlife too! You can’t got to Cabo and not hit the water so you should definitely plan some time to enjoy it. Hop on the shuttle to Marina Fiesta and walk down to Medano Beach. You can also do a charter boat tour to check out El Arco and snap some breathtaking photos. You can find charters that will stop at Lover’s Beach and Divorce Beach so that you can take a dip too. ?Some of the tours even offer snorkeling, diving, whale watching and more. Get adventurous and climb?aboard the Buccaneer Queen, a pirate ship that offers these water activities as well as breakfast, lunch and sunset tours. You might even consider ending the evening with the Buccaneer Night Pirate Party. Cabo is a perfect destination for those who seek adventure and Cabo Adventures is voted Cabo’s #1 adventure company by Trip Advisor. Our group had a blast on the Outback & Camel Safari where we took a short nature hike down to a Mercedes-Benz Unimog 4×4 truck for a journey through the dessert, then rode a camel along a private beach overlooking the Pacific. Our adventure concluded with lunch, enjoying an?authentic Mexican cuisine and tequila tasting. Other adventurous activities offered by Cabo Adventures include ziplineing, and mountain biking along with plenty of exciting water adventures too. Cabo San Lucas is definitely an awesome travel destination and you will surely find a way to plan your ultimate Cabo vacation. I’m hoping to plan a family vacation to Cabo sometime within the next year so that my family can experience a Cabo family adventure! What things will definitely be on your Cabo vacation to-do list? How cool is that camel ride?!?! I’ve been to Cabo a few time, but never knew that was available! They seriously have a Lover’s Beach and a Divorce Beach? That’s hilarious! Seriously, these images really make me want to visit Cabo. Thanks for the tips on how to get the most out of the stay! 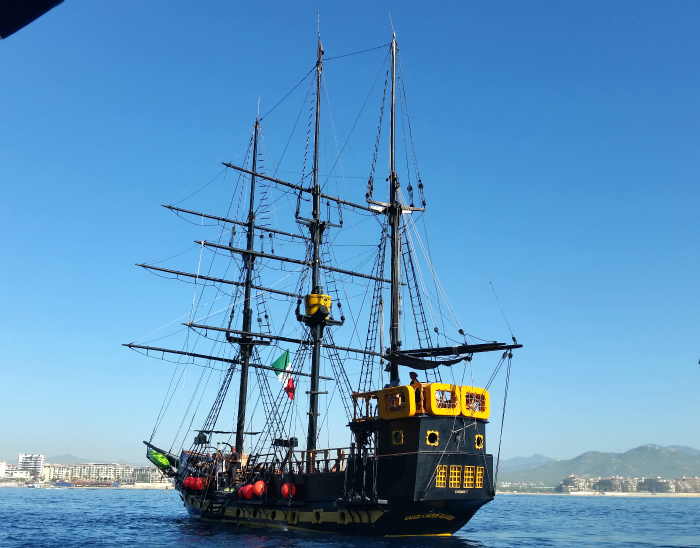 Oh I would love to visit Cabo and a pirate ship… yes please! What a fun time! Looks like a great place. 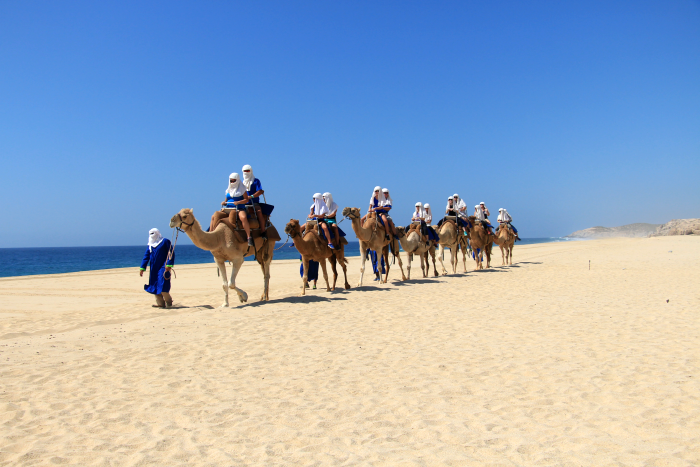 Love that there is so much variety… a beach, camel rides and more. Looks like I need to add this to my list of someday spots. Wait, camels? In Cabo? That I would certainly have to do!